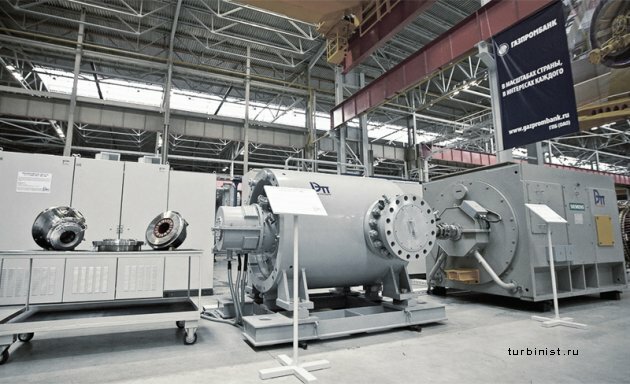 The industrial experience has been revised regarding the implementation of rotor electromagnetic suspension intended for the electric drive rotors of gas compressor units installed in the compressor stations of the main gas pipelines. Primary advantages of active electromagnetic suspension have been analyzed, such as enhancement of its reliability, life of equipment as well as- reduction of operation costs related to the maintenance of electrically driven gas compression units. The effective operation of the electromagnetic suspension in the dynamic modes as well as during the realization of partially manned and unmanned technologies has been analyzed and the results have been provided. Viable results of implementation of electromagnetic suspension direct-drive and oil-free technologies have been demonstrated. These technologies are intended for functional and reliability improvement as well as energy and ecological performance of the critical units in main gas pipelines. Key words: electromagnetic suspension, gas compressor unit: compressor station: electric drive: energy performance. Puzhailo A. F., Spiridovich E. A., Kriukov О. V., and others. Energy saving and automation of the compressor stations electric equipment: Monography / edited by Kriukov O.V. - Nizhny Novgorod: Vector TiS, 2010. - 570 p.
Kriukov О. V. Strategies of non-variant electric drive control systems of «Gazprom» PJSC // SICPRO’15 control tasks and system identification: Collection. - M. : Trapeznikov V. A. Institute of Control Sciences. -2015. - P. 368 - 386. Kriukov О. V., Gorbatushkov A. V., Stepanov S. E. The foundations of designing the non-variant electric drives of the power sites // Automated electric drive and industrial electronics. Proceedings of the IV National Research-to-Practice conference: collection / under the general editorship of Ostrovlianchik V. lu. - Novokuznetsk, 2010. - P. 38-45. Spiridovich E. A., Voronkov V. I., Kriukov О. V. System power consumption optimization of the compressor station units// Science and technology in gas industry. - 2012. - No 1 (49). - P. 58 - 70. Kriukov О. V. Experience of manufacturing energy efficient electric drives for gas compressor units // Proceedings of the VIII International (XIX Russian national) conference on automated electric drive AED-2014 (2 tomes) // Releaser I. V. Guliaev. - Saransk, 2014. - P. 157 - 163. Kriukov О. V. Analysis of the single block structures of homopolar machines intended for gas compression units // Industrial engineering: scientific internet journal. - 2015. - T. 3. - No 4. - P. 53 - 58. Kriukov О. V. Paradigm of application of the electrically driven gas compression units on ‘Gazprom’ JSC installations // Current state and future development of electric and heat technologies. International science and technology conference records: (XVIII Benardos readings): Collection. - Ivanovo, 2015. - P. 61 - 65. Kriukov О. V. Application tasks of the experiment planning theory intended for the non-variant objects of the gas-transport systems // Studies of the IX International conference «Control tasks and system identification», SICPRO’ 12: Collection. - 2012. - P. 222-236. Kriukov О. V. Integrated analysis of the operation conditions of electric drives within the gas-transport units // Compressor engineering and pneumatics. - 2013. - No 4. - P. 14 - 20. Babichev S. A., Bychkov E. V., Kriukov О. V. Analysis of the technical condition and reliability of electrically driven gas compressor units // Electric engineering. - 2010. - No 9. - P. 30 - 36. Kriukov О. V. Methodology and tools of the neuro-fuzzy systems of predicting the condition of electric drives within the gas compressor units // Electric engineering. - 2012. - No 9. - P. 52 - 60. Kriukov О. V. Basic principles of partially manned technologies in operation of electrically driven gas compressor stations // Electric equipment: Operation and maintenance. - 2014. - No 4. - P. 10-13. Milov V. R., Suslov B. A., Kryukov О. V. Intellectual management decision support in gas industry// Automation and Remote Control, 2011.-T. 72. - No 5. - С. 1095 - 1101. Serebriakov A. V., Kriukov О. V., Vasenin A. B. Fuzzy models and algorithms of control of enery installations // Conference proceedings ‘Control processes within technical, ergatic, organizational and network systems’: collection / edited by S. N. Vasilev. - 2012. - P. 467 - 469. Kriukov О. V. Virtual load sensor of synchronous machines // Electric equipment: operation and maintenance. - 2014. -No 3,-P.45-50. Kriukov О. V., Stepanov S. E. Upgrading control systems of electrically driven gas compressor units // Engineering systems automation and control issues. International science and technology conference article collection / edited by M. A. Sherbakov. - Penza, 2013. - P. 29 - 32. Khlynin A. S., Kriukov О. V. Implementation of the energy saving factors for gas compressor units in projects // Electric engineering: scientific internet journal. - 2014. - T.l. - No 2. - P. 32 - 37. Zakharov P. A., Kriukov О. V. The foundations of non-variant control over the electric drivers of gas-transport systems during random perturbations // Reporter of Ivanovo State Power University. - 2008. - No 2. - P. 98 - 103. Kriukov О. V. Stabilization of the electromagnetic suspension systems intended for the drive rotors of the gas compressor units // Compressor engineering and pneumatics. - 2013. - No 7. - P. 27 - 32. Kriukov О. V. Operation of electromagnetic suspension systems intended for the drive rotors of the gas compressor units// Electric equipment: Operation and maintenance. - 2014. - No 7. - P. 13 - 20. Kriukov О. V., Titov V. G. Automated stabilization of the electromagnetic suspension systems intended for the drive rotors of the gas compressor units // Industrial automation. - 2011. - No 6. - P. 50 - 54. 23.Kriukov 6. 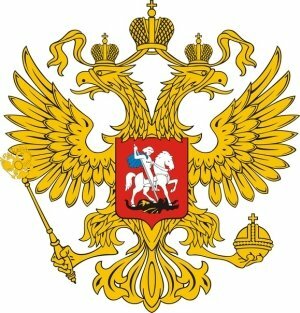 V., Stepanov S. E., Bychkov E. V. Non-variant systems of technologically interconnected electric drives of the main pipeline objects // Proceedings of the VIII International (XIX Russian national) conference on automated electric drive AED-2014: collection //releaser I. V. Guliaev. - Saransk, 2014. - P. 409-414. Kriukov О. V. Benefits of the electromagnetic suspension intended for the electric drive motors of gas compression units//Chief power engineer. - 2015. - No 9. - P. 16 - 23. Kriukov О. V., Vasenin A. 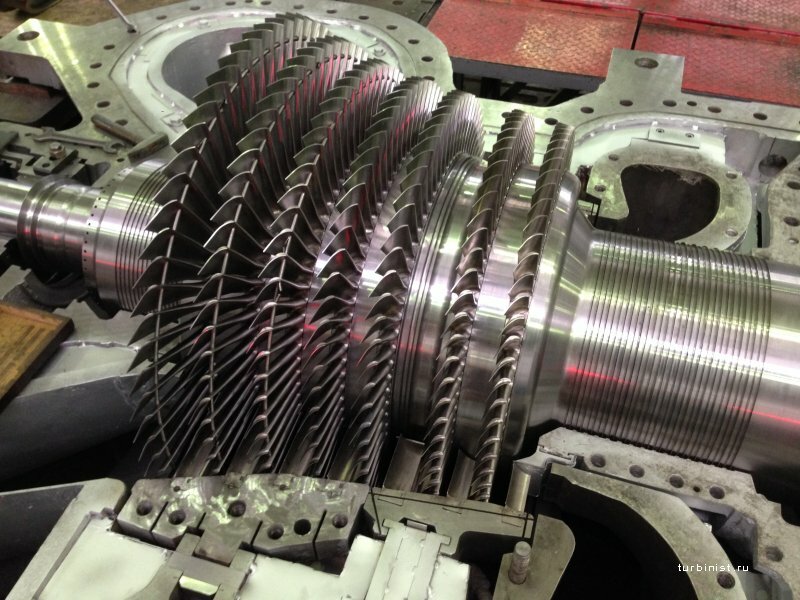 B., Serebriakov A. V. Test bed of the power installation electromechanical part // Drive engineering. - 2012. - No 4. - P. 2 - 11. Zakharov P. A., Kriukov О. V. Methodology of the non-variant control over the compressor station units under the random effects // News of the Higher Educational Institutions. Electromechanics. - 2009. - No 5. - P. 64 - 70. 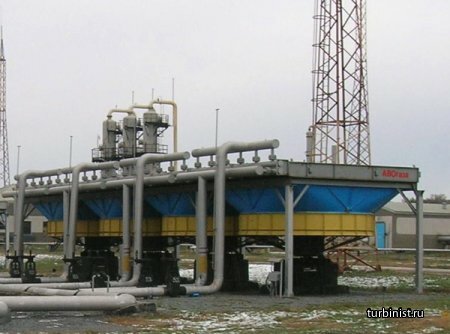 Kriukov О. V., Stepanov S. E. Improving stability of electric drive operation of the centrifugal blowers on «Gazprom» JSC compressor stations // Gas industry. - 2014. - No S (710). - P. 50 - 56. Kriukov О. V. Analysis of the safe launch systems intended for electrically driven gas compression units // Compressor engineering and pneumatics. - 2012. - No 2. - P. 12-17. Kriukov О. V., Titov V. G. Analysis of launch modes of electrically driven gas compression units // News of the Higher Educational Institutions. Electromechanics. - 2012. - No 3. - P. 29 - 35. Kriukov О. V. Hardware and algorithmic facilities intended for safe launch of high-power drives // Electric equipment: operation and maintenance. - 2013. - No 9. - P. 23 - 30. Oleg Victorovicli Kriukov, Doctor of Technical Sciences, Associate Professor, Chief Specialist of «Giprogazcentr» JC, tel. (831) 428-25-84. E-mail: o.kryukov@ggc.nnov.ru.